It's no secret that Dave and I love dogs. Both of our dogs are rescues from local humane societies. They make our lives so much better with their unconditional love and wagging tails. We spent a lot of time making friends with Dyson, who's still practically a puppy. You can tell - because he has so much energy, and he wags his tail a mile a minute. He's clearly a very intelligent dog and all he wants is to get out of the noisy kennel and go to his very own home. According to the staff at the Rome Humane Society - Dyson is a puppy that needs a little bit of training. But he loves people and other animals from what our staff can tell. He is really smart and loves attention. He's about 11 months old. Dyson isn't neutered yet, but the Humane Society will take care of that and the associated expenses for you. If you think you can give Dyson a home in time for Christmas - call or visit the Rome Humane Society at 6247 Lamphear Road, Rome, NY or call 315-336-7070. 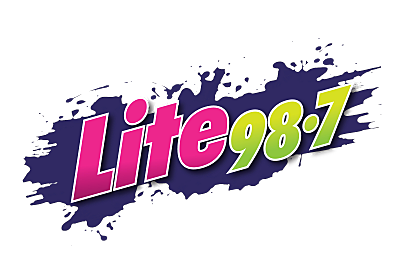 We have to give a big thank you to Seneca Wine & Liquor and Valley Wine & Liquor for making 'Home for The Holidays' a reality here at Lite 98.7. We appreciate their support - please keep it in mind while you're shopping this holiday season.